Mobile Website and Blog are the next big thing for Internet Marketing. A Mobile Website is designed for a mobile device screen and will require a different style of web design to make it easy for users to read the text and take advantage of the services or products offered. Statistics show 5.3 billion mobile subscribers as July 2011 (Google) and only 2 billion computer users. The Mobile Website is becoming a business standard. Your Mobile Website will be a shorter version of a regular site optimized for a faster search. eMarketing 21™ is using HTML5 and Responsive Web Design to change the way you interact with your customers and offer them a seamless mobile experience. With our Mobile Website Design, your site and/or blog will be viewed properly on all mobile devices. A Mobile Website provides small businesses the advantage to be found by consumers who regularly use their phones to find and act on information. Today there are 5.3 billion mobile subscribers (that’s 77 percent of the world population – July 2011 Google statistics) and about 3 times less desktop and laptop computers users. Mobile search is heavily used to find a wide variety of information and to navigate the Mobile Internet. 82% of smartphone users notice mobile ads. 74% of smartphone shoppers make a purchase as a result of using their smartphones to help with shopping. 24% recommended a brand or product to others as a result of a smartphone search. An optimized Mobile Website is one of the best Internet Marketing strategies at this time and is critical for a small business. Standard Websites designed for regular computer monitors have a high level of graphics, but this design is too difficult to be viewed on a mobile phone screen because the text is too small to read and requires too much scrolling. The principles of Mobile Design are different than those of conventional website design. The traditional website architecture used for computer browsers is not compatible with the Mobile Website architecture for Mobile Devices. In mobile phones, for example, the technology called WAP is used for browsing. Because of the limitations of WAP browsers in terms of screen size and allowable download, there are special procedures that follow the accessibility design guidelines for building a Mobile Website which are set by the World Wide Web Consortium (W3C). Mobile Website or WordPress Blog with Responsive Web Design for high speed load times, with flexible widths to resize to the right device display. There is another advantage to have a Responsive Design Website or Blog. You will only need to maintain and pay hosting and domain registration for one site which will display correct on all mobile devices, netbooks, laptops as well as desktop computers. Price: $97 for 3 web pages website design with extra web pages at $47/page. Mobile Landing Page meant to function as a response to people’s clicks on an advertisement and to collect contact data. Price: starts at $47 and depends on the size of the page. 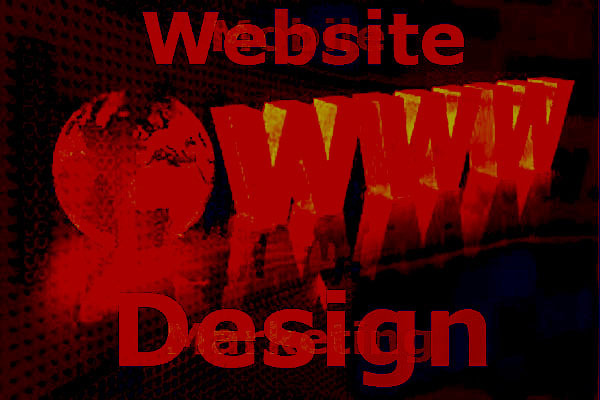 Flash Website Design includes 3 Flash web pages. Price: $197 with extra web pages at $97/page. Click on the link to see an example of a Flash website. The above prices do not include the hosting service and domain registration.